Rewmar Applicator Gun is used in conjunction with Rewmar MS650. Ensure a 8mm deep, 10mm wide V is cut in the end of the plastic nozzle before applying to the subfloor. Rewmar 6mm (B11) V Notch Trowel is used to apply Rewmar MS Polymer Adhesive when a fully bonded system is required. 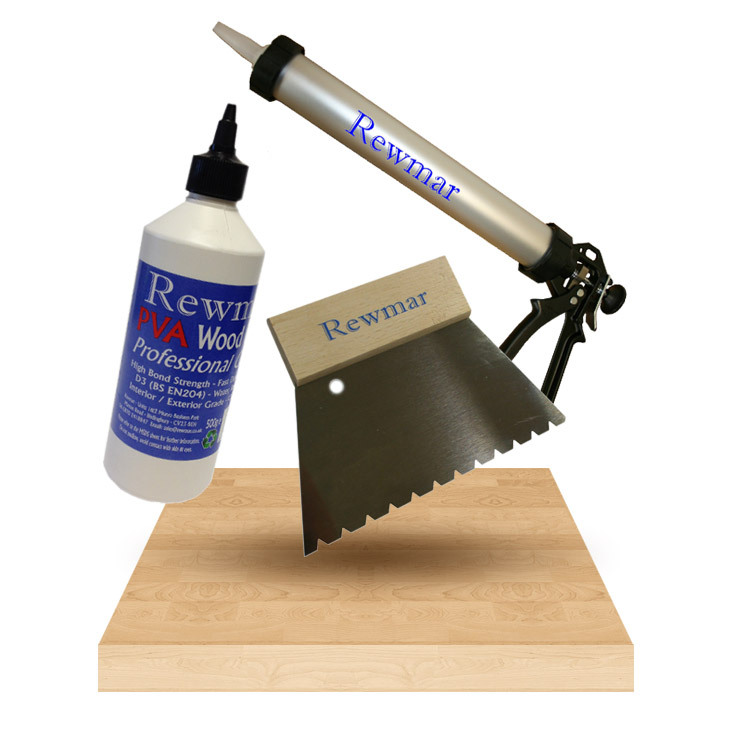 Rewmar 3mm V Notch Trowel is used to apply Rewmar MS Polymer Adhesive when a fully bonded system is required. Heavy-duty non-woven wipes impregnated with a liquid formula for removing Rewmar MS Polymer adhesive and other associated soils such as inks, sealants, oils and greases from hands, tools and general hard surfaces. Rewmar hand & tool wipes are suitable for all non porous surfaces. A preliminary compatibility test is necessary as some paints and powder coatings can be affected by the wipes. Do not use on porous surfaces such as untreated wood or natural stone. Rewmar PVA Wood Glue is designed for all joinery applications. The special nozzle is designed for the application of PVA wood glue to all flooring joints.